Isett Heritage Museum is one of the most unique museums in Pennsylvania. The museum is not on a major highway. 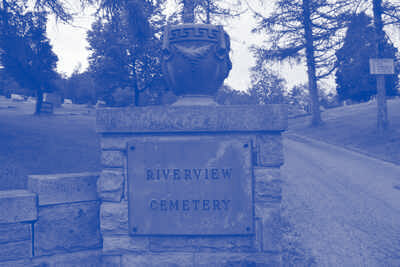 It can be found about two miles east of Huntingdon Borough, located on Stone Creek Ridge Road. The ridge road has a spectacular aerial view of numerous surrounding mountains and ridges overlooking approximately twenty miles. 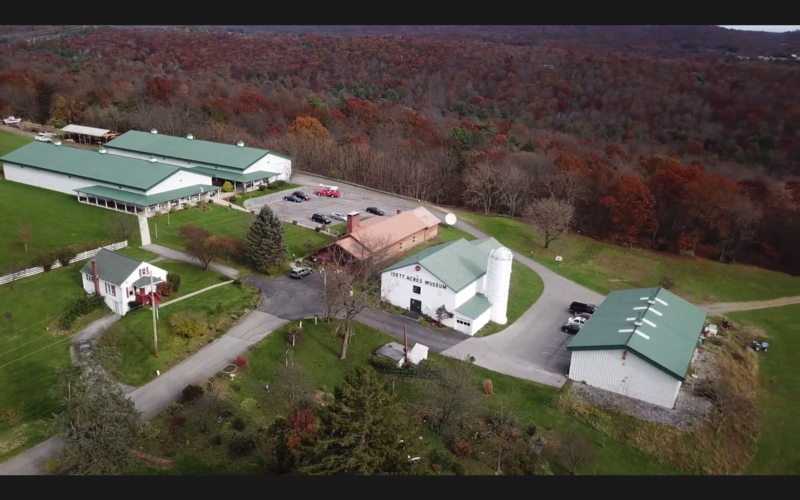 The museum buildings are nestled on beautiful fields surrounded by numerous flower beds and fruit trees, a perfect setting for Mr. Isett’s dream come true. Mr. Melvin Isett, born in Huntingdon County in 1922, spent his entire lifetime collecting antiques and memorabilia with a dream to open a museum. In 2001, shortly after Mr. Isett’s retirement, his private collection was opened to the public in a renovated barn on the property. In 2004 the museum expanded to include a ten thousand square foot building, and once again in 2008 another ten thousand square foot building was added. The buildings are home to a collection of over forty thousand items from Mr. Isett, his family and donations. During business hours the Lodge is open to the public to meet and socialize with Mr. Isett. After visiting Mr. Isett, we hope you will take the time to browse through the Gift Shop. 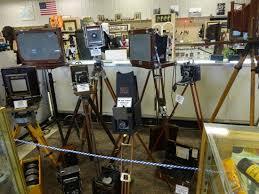 Isett Heritage Museum has 400 vintage cameras for viewing. If you’re a camera fan, you should see this. 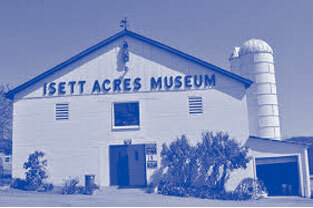 Isett Heritage Museum is home to the area’s largest collections of antiques and memorabilia. 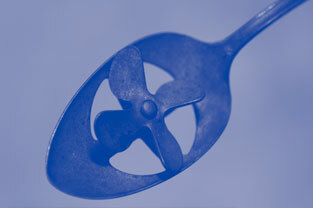 The Museum is family oriented, educational and fun for all ages with exhibits from 1800 to present day. Explore our many themed displays on a fully guided tour, or browse the multiple buildings on your own. Recommended are the guided tours where you will see and learn history of some the most unusual items the past has to offer. Whether you chose to take the guided tour or explore on your own please allow two hours to see all the buildings. Visitors will begin the tour in the 1940 renovated barn. The barn is by far the smallest building, but it is home to some of the most remarkable and beautifully preserved 1800’s antiques in our collection. Larger displays in the barn are radios, a dairy, a printing display and a tin shop. The radio section has tube radios, vintage floor model radios, crystal radios, and Victrolas to more current cassettes, cd’s and eight tracks. The dairy display is a restaurant booth and ice cream fountain from Fouse’s Dairy where Mr. Isett was employed as a teenager. Tools and a large variety of tin items produced from three local 1800’s tin shops are located in the corner of the barn next to the printing area. The printing area has two 1870 printing press machines and a selection of items from J.C. Blair Stationery, a local paper tablet producer in Huntingdon. Some of the other exhibits are farming tools and equipment, carpenter tools, scales, crocks to list only a few. Building two has three separate sections. The first section starts with a formal parlor resembling parlors from the late 1800’s. From fireplaces to fainting couches, we have created an impressive suite of rooms filled with beautiful antiques. Other exhibits in this section are vintage laundry, medical and dental equipment, trains, railroads, glassware, jewelry and toys. Next section to explore is the Music Room. It is filled with pianos, pump organs, musical instruments, records, TV’s, sheet music and juke boxes. The walls of the music room display a large gallery of art created by local Huntingdon area artists; and numerous books written by local authors are also on display. Section three of the building has antique cars, pedal cars, a vintage gas pump, soap box derby cars, matchbox cars and other automotive related tools and equipment. Included in this section is a large exhibit of vintage typewriters, telephones, Dictaphones, postal equipment and eloquent hand-written journals from the 1800’s. You can play a 1980’s computer game or use a manual typewriter or check printer. There is a large variety of television cable equipment from Huntingdon TV Cable Company, the pioneer cable company Mr. Isett began in 1960 in Huntingdon. Please be sure you see the message drum, an invention of Mr. Isett and employees of the cable company. Building three begins with an impressive collection of cameras from 1800’s to present. Curator of the museum, Vince Brown, has personally arranged an astounding display. Vince worked at Kodak in New York for many years acquiring and now sharing his vast array of different cameras, lens, film, and dark room equipment. Projection equipment and memorabilia from local theatres such as Shapiro’s, Clifton and Reality are also in the camera area. Dedicated to local veterans is a large section of the military department. Found in this area are uniforms, letters, weapons, maps and numerous local military items. The collection ranges from Civil War to present day and the docent can relate many interesting facts of the local veteran who served during war and peace times. The firearms and the gunsmith shop are another local Huntingdon history lesson. Many of the guns Mr. Isett acquired are made from Huntingdon County gunsmiths from 1850’s. This large collection is showcased next to a replica of a local 1850 gunsmith shops. Weapons, guns, rifles, ammunition and military artillery can easily be viewed from the walls filled with gun racks. Just a few of the other exhibits in this building are banking items, a barber shop, Knights of Malta, a schoolroom, scouting, clothing, a church, and memorabilia of many local businesses dating back to the early 1800’s. After viewing the three buildings of the museum, the tour guide will invite you to meet Mr. Isett in the Lodge. The Lodge was originally a wagon shed on the property which was beautifully remodeled as an area where Mr. Isett can manage and oversee the museum. Mr. Isett’s greatest pleasure is sitting in front of the fireplace meeting and reminiscing with visitors to the museum. After visiting Mr. Isett we welcome you to stop in at the gift shop. The gift shop has a wide variety of glassware, toys, books and many other items. We are located atop the beautiful Stone Creek Ridge just outside of the town of Huntingdon. From Harrisburg and East: You will travel Rt. 22 toward Lewistown and then from Lewistown to Huntingdon and Exiting on the Penn Street exit. Turn Right on to Stone Creek Ridge Road. Travel 2.5 miles and Isett Heritage Museum will be located on your right. From Altoona and West: You will travel on I99 and exit the Tyrone exit on to Rt. 453 and travel South on Rt. 453 to Rt. 22. Follow Rt. 22 until the Rt. 26 exit toward State College. Rt. 26 will turn to Penn Street. Stay on Penn Street traveling east until Stone Creek Ridge Road on the left just past the Huntingdon City League and Little League fields. Turn Left on to Stone Creek Ridge Road. Travel 2.5 miles and Isett Heritage Museum will be located on your right. From State College and North: Travel on Rt26 South through Mcalevys Fort. Continue 12 miles to turning left on to Gorsush Road. When you reach Stone Creek Ridge Road turn right and travel 2 miles. Isett Heritage Museum will be on the left side. From Saxton and South: Travel on Rt. 26 North to Huntingdon. Rt. 26 will turn to Penn Street. Stay on Penn Street traveling east until Stone Creek Ridge Road on the left just past the Huntingdon City League and Little League fields. Turn Left on to Stone Creek Ridge Road. Travel 2.5 miles and Isett Heritage Museum will be located on your right.